Raleigh Strada is a quite a deal for these prices! The Raleigh Strada series of affordable city bikes and pedelecs offer up some quality specs at a great price. These commuters are ideal for the budget rider who has leisure and urban riding needs. From as low as around $400, you can get a multi-speed Raleigh Strada commuter that looks good and rides well. Raleigh has been making road and city bikes, among others, for over a century, being one of the oldest bicycle manufacturers in the world. That’s why we were excited to review the Raleigh Strada series of commuters, with their rather low price tags for what they claim to offer. As it turned out, they held up to our scrutiny! Now, we did have to take a point off for a couple of things. Some of the models were a little too rigid, lacked rack and bottle mounts, and had tough saddles. After riding for hours, we all had rather sore posteriors! Having said that, these bikes have good braking power, predictable and controlled handling, and stable, balanced motion. 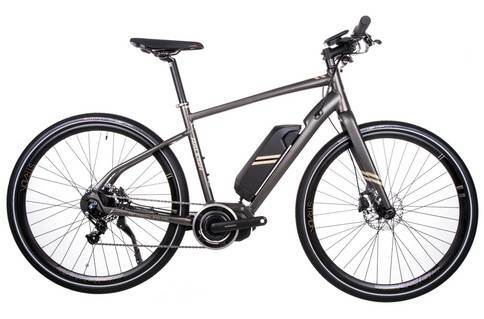 The e-bikes proved to be impressive, despite the price tag, with a Shimano motor system and computer, as well as a sleek look and some brilliant power. Even on the lower end, for just a few hundred dollars, you get your money’s worth of componentry, geometry, and performance. Why no rack, bottle, mudguard mounts on a commuter model? For the price, this is definitely still a good buy, and with a few minor upgrades, it will meet all basic urban riding needs. We would definitely still recommend the Raleigh Strada series for cyclists who need a simple commuter or leisure bicycle and don’t want to spend too much for it. These reliable bikes from a reliable manufacturer get the job done with ease.